What do successful online stores like Strange Bikinis and CHEZVIES have in common? They both sell their products internationally! The upside of a global presence is significantly improved revenue potential. With nearly 47% of the world’s population online, you can have tens of thousands of customers all across the globe. As long as you can collect payments and ship products, you can get customers from Jakarta to Johannesburg. We’ll show you how to optimize your store for a global audience below. Your current international presence (if any). If you’ve already invested resources into an international market, it makes sense to prioritize it. Pick a priority based on the scale of the investment. Growth potential. There is usually an inverse relationship between market size and growth potential. That is, larger markets tend to be more competitive and hence, have lower growth potential. Evaluate the size of the market v/s resources required to grow when setting your priorities. Ease of expansion. Markets that follow the same language, payment systems and laws as your home country should be a higher priority than others. For instance, a US-based business will find it much easier to sell in Canada than in Cambodia. Based on these three factors, create a list of high priority international markets. These markets should get extra resources compared to others. For example, you might offer automated translations to customers from low priority markets. For high priority markets, however, you can offer a more customized user-experience. If a customer can’t read your site, they can’t possibly buy from you. You have three options when it comes to translating your store. In manual translation, you hire a trained translator to translate your store manually. Depending on the skill of the translator, you can get a highly accurate translation. This not only makes your site easier to use for native speakers, but also ensures that your marketing messages are relayed faithfully. The downside is the cost and difficulty of finding good translators. If you want to target multiple languages, you might end up spending thousands of dollars on translation alone. If you choose the manual route, you can find translators on freelancing platforms like Freelancer.com and UpWork. The software translates your document automatically. A trained translator proofreads the translation for accuracy. The original document is updated with the approved translation. Hybrid translation offers a great compromise between speed and accuracy. Since human translators are minimally involved, your costs come down significantly as well. Check out Promt and TranslationCloud to explore this option further. Automated or machine-learning translation is what most of us are already used to in the form or Google Translate. This is a purely software-based approach where the software translates your website into any of the supported languages. Automated translations are offered in Ecwid. When customers visit your store, Ecwid will automatically select the most suitable language based on the customer’s browser settings. If you want to add a translation to a new language, you can use our special tool on translate.ecwid.com. You can learn more about automated translations here. The best way to approach to translations is to use manual or semi-automated translation for your biggest international markets. For the rest, use automated translations. If translating manually, prioritize a language with a lot of speakers across multiple markets, like Spanish (spoken in Spain and much of Latin America). To keep your international audience, you’ll want to show product prices in the customer’s local currency. Ecwid has a currency converter app that will automatically change your store’s prices into currencies of over 130 countries. The app works by detecting the user’s location, then changing prices based on current exchange rates. This dramatically shortens customer journey to checkout since your visitors won’t have to calculate the prices in their heads or elsewhere. With measurements, unless you are targeting customers in the US, it is always easier to default to metric units. This is the system used by virtually every country in the world. You can convert to imperial units for US customers. You can change your default measurement units in Ecwid by going to Settings → General → Formats & Units → Weight Unit. Due to widespread differences in regulations across countries, few payment processors have a true global presence. The safest option for selling internationally is to use Paypal. With a presence in 200 countries, there is hardly a market where Paypal isn’t accepted. Paypal is also a trusted brand name and thus, can improve conversions. A downside is Paypal’s high fees (4.4% + fixed fee). Authorize.net — Low fees ($0.10/transaction) and reliability make it ideal for international customers. However, it is only available to businesses in USA, Canada, UK, Australia and Europe. Stripe – Stripe’s user-friendliness, low fees and reliability make it a popular choice among small businesses. Like Authorize.net, it is also available only to businesses in Australia, Ireland, UK, Canada and USA. See this article to learn more about payment methods supported by Ecwid. Shipping products and dealing with customs seems like a major logistical impediment to selling globally. In reality, figuring these out is easier than you think. The first step is to pick a reliable shipping partner from major international shipping options. For US-based businesses, FedEx, USPS and UPS are all reliable partners. Next, set your shipping rates. You can choose either flat rate or carrier-calculated rates. Also check out the ShipStation app to automate shipping for your store. 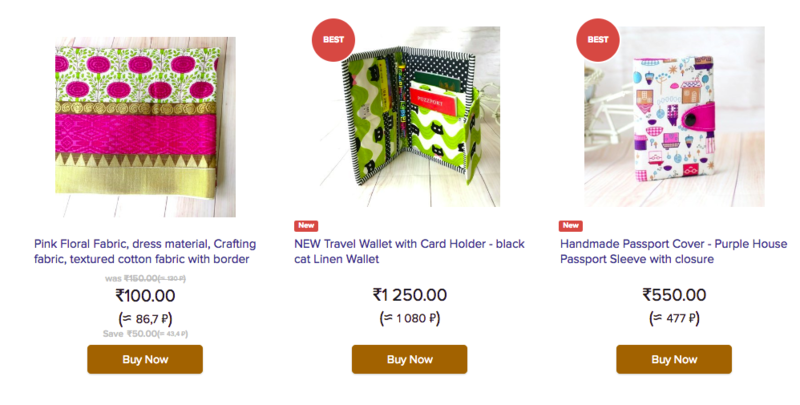 Besides shipping, you also have to deal with customs duty. As per convention, it is the customer’s responsibility to pay any customs duty. However, if you can calculate the duty for the customer, you will likely increase your conversion rates. DutyCalculator is a great tool for automatically calculating customs duty for over 141 countries for a wide variety of products. Finally, you are responsible for collecting any applicable taxes as required by a) your home country, and b) the customer’s country. If you are an Ecwid user based out of the US, Australia, Europe and Canada, Ecwid will automatically calculate and collect taxes for you. If you are outside these locations, you will have to consult your local laws to figure out taxation requirements, if any. If you have country-specific websites, you can automatically redirect users to the relevant site based on their location. Subdirectory on the main domain, such as example.com/france. This is good for SEO since the country-specific site gets all the SEO juice of your main domain. Sub-domain on the main domain, such as france.example.com. This gives you more freedom (the sub-domain can be completely different from the main site) at the cost of SEO juice. Separate website on a different country-level domain, such as example.fr. This gives you complete freedom but also increases your maintenance and costs. Large businesses with international operations often take the separate domain route. If you visit Adidas’ website from India, for instance, you’ll be redirected to their India site. For most small businesses, however, the subdirectory route works best. Just create a separate site customized for a country or location. Redirect visitors to it automatically when they type in your URL. You can use a paid tool like Geolify to do this. Or, let your visitors choose the version themselves. 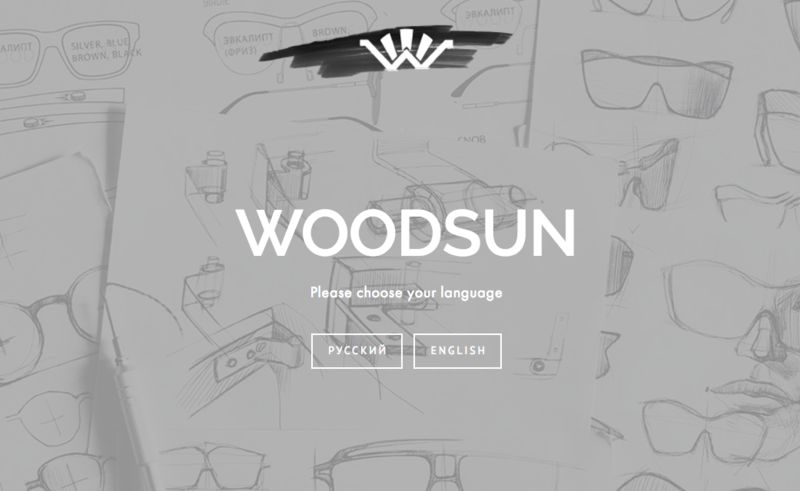 Woodsun uses one and the same storefront translated into Russian and English for woodsun.ru/woodsun and woodsun.ru/woodsun-en. Alternatively, if you sell a lot of products, you can install two Ecwid stores into two websites. This will let you customize your storefronts, inventories, currencies etc., but you’ll have to manage two separate control panels. A clothing store might show its summer wear line for customers living in Australia. For its Swedish customers, however, it might remove swimwear from the inventory and show winter jackets instead. To do this, you will have to create separate websites for each country you want to target. Each of these countries would have their independent inventories. It’s a lot of work but this level of localization can improve conversion rates. If you don’t want to create several websites, one workaround can be a separate category for a certain country. This option works great if you don’t have too many products. Create a landing page or use your homepage (like businesses above did) to navigate your customers to the category for their country. Store design includes everything from your store’s logo and layout to the choice of fonts and colors. Obviously, this design impacts how customers see your brand and use your store. 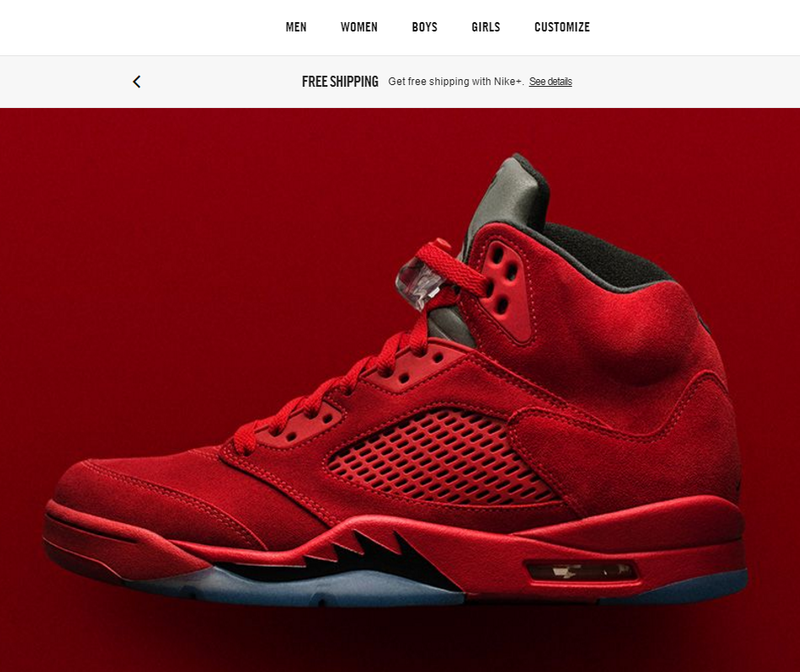 For example, on Nike’s USA site, the topmost promo is for the company’s basketball shoes. This is relevant since basketball is a popular sport in the US. 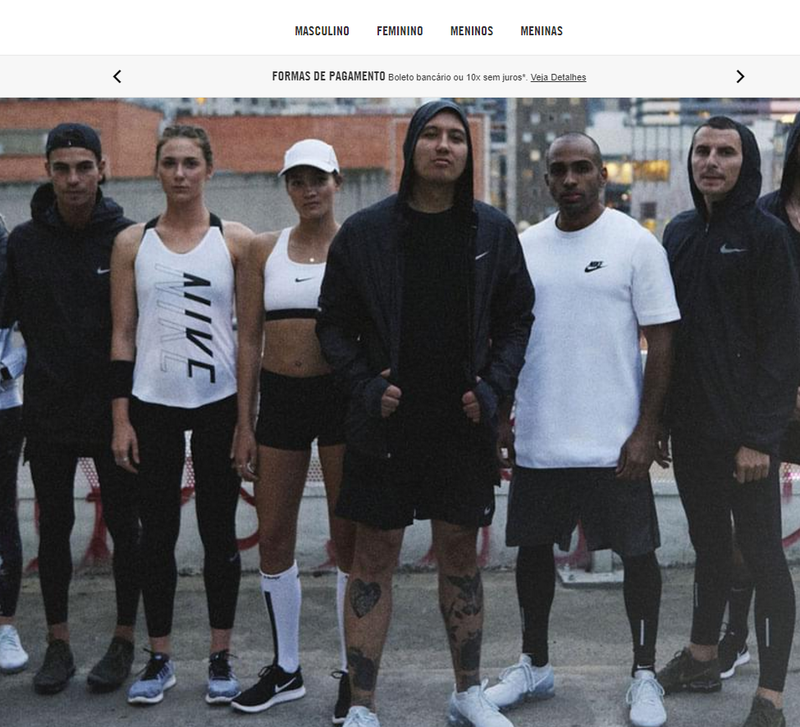 However, on Nike’s Brazil website, the topmost promo is for Nike’s soccer shoes. Basketball hardly has any takers in Brazil while soccer is wildly popular. One and the same Ecwid storefront added to several websites can adapt its colors and styles to each website theme. This makes creating a separate e-commerce landing page for a certain country easier. To learn more, check out this article on customizing your store’s design. Mobile internet usage surpassed desktop usage back in 2016. This means that today, your customers are more likely to access your site through smartphones than through desktops. The smartphone bias is even stronger if you’re targeting developing countries where smartphone ownership is significantly higher than desktop ownership. Offering mobile apps on both Android and iOS. Reducing website size to make it accessible on slower connections. If you’re using Ecwid, you’re in luck — Ecwid offers a mobile-friendly version of its site for all visitors. You can also create a free Ecwid mobile app for shoppers. Internationalization can be complicated but also wildly rewarding. By localizing your store experience for a global audience, you can drastically increase your potential market size and reach millions of new customers. Some ways to optimize your store are to translate your website, localize content, accept international payments and create an optimal mobile experience. This will make your store accessible to anyone, regardless of location. The end result? More sales and happier customers! 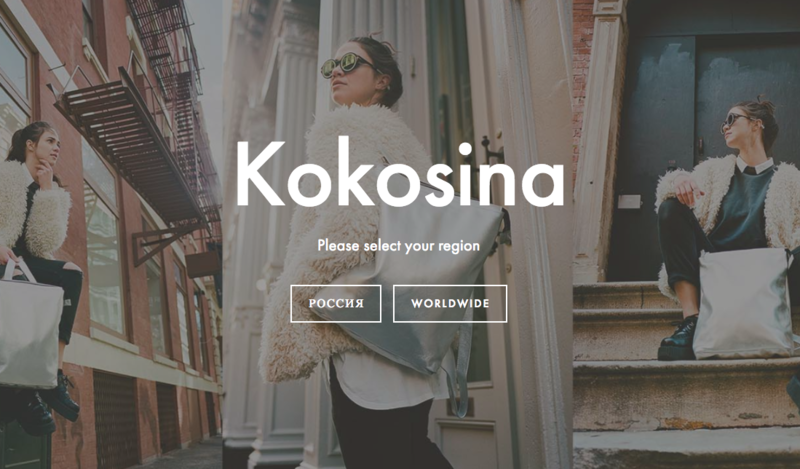 What steps have you taken to internationalize your store? Share with the community in the comments below!